Virginia Beach Pet Surgery is one of our specialties at Birdneck Animal Hospital. We believe that each and every pet is unique and should be provided with individual treatment. We offer kindhearted and considerate care for you and your pet here in our veterinary clinic. We have the latest and most up to date treatment measures that include Virginia Beach Pet Surgery, preventive medicine and wellness care. We have a fully equipped modern facility and our services include ultra-sounds, x-rays, and surgical lasers. We also provide vaccinations, flea and tick prevention and care, and dental and boarding services. Our pharmacy here on site saves you time and is conveniently located. We can also help with managing a pet's diet as diet is an important aspect of your pets' health and may vary depending on age, activity level, and any medical conditions. When you choose us, you will find we are an all-inclusive clinic and serve every need as a one-stop veterinary hospital. Add this to Dr. Wayne Johnson's years of dedication and service to pets, and you will see how devoted our animal clinic is to providing the highest standard of veterinary care. When it comes to Virginia Beach pet surgery at our Virginia Beach Veterinary Clinic, we take great care to provide exceptional service through our advanced training and techniques. We are very proud to have the most efficient and highly trained staff to treat issues that arise with your pet. We are now able to address many conditions and surgical procedures with laser surgery, which reduces the pain, swelling, and blood-loss associated with most surgical procedures. We provide laser surgery to treat eyelid related conditions, cosmetic conditions, tumor removals, spay, neuter, and many other conditions both external and internal. Laser surgery allows our veterinarian to be more precise, thereby lessening the amount of surrounding tissue that is affected by the procedure. This method can also be used to "bathe" the site of a tumor removal, thereby increasing the likelihood of removing any potentially cancerous cells that might have been left behind with conventional surgery. Spaying and neutering are other services with which laser surgery can be of benefit. The same incisions are made as those in conventional surgery. The laser though seals nerves, blood vessels and lymphatic vessels as it moves through the tissues, thereby reducing pain, bleeding and swelling. 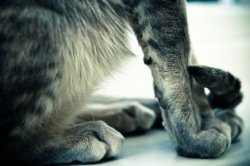 We only recommend declawing cats when all other methods to prevent aggressive or destructive behaviors have failed, or if there is an immune compromised individual in the home. If declawing is necessary, the laser greatly reduces the discomfort associated with the procedure and allows a much more rapid return to normal activities. The doctor and staff at Birdneck Animal Hospital are trained in the prevention and control of pain associated with surgical procedures. 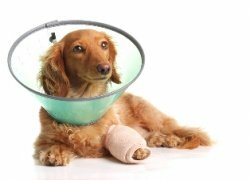 Pets often receive measures to prevent pain before, during and after a surgery. Reducing a pet's pain not only makes them happier, but it allows them to heal faster also. At our Virginia Beach animal clinic, our veterinary care is focused on the well-being and health of all of our patients. If your pet needs surgery and you need a veterinarian in Virginia Beach, please visit us here at Birdneck Animal Hospital. If your pet requires vaccinations, flea and tick help, dental care, or boarding, please contact our veterinary clinic by phone at (757) 355-5694 or by email.